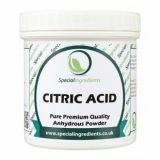 High quality premium food grade Citric Acid powder (250g). 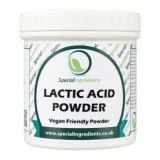 Add to food or drinks to provide a tart or sour flavour. Dosage as required to taste. 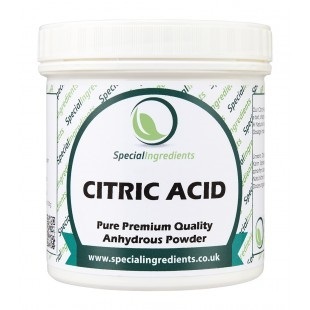 As a food additive, citric acid is used as a flavoring and preservative in food and beverages, especially soft drinks. Citrate salts of various metals are used to deliver minerals in a biologically available form in many dietary supplements.